Missile is a sign of destruction and not Construction. When Dr. A.P.J Abdul Kalam died on Monday I felt bad because I respect the man for his simplicity and connection to the common man. I even dedicated my Monday’s poetry reading to him. For me he is a person who was the symbol of being down to earth; a true ‘rags to respects’ story instead of a ‘rags to riches’ story. Over the last 24 hours I have also had discussions with people on their opinions and a few things surfaced to which honestly I had also given a blind eye. I had also been part of the social media swell that makes us project that we all used to wake up every day and start the day thinking of Dr. Abdul Kalam and now that he is no more we are showering all our love. Yes he is a very respectable person and I and a good number of people respect him as a good human being, not as ‘The Missile Man’. And so I think this is a good time to also talk about what it means to live and die and be remembered and leaving a legacy. For me there are 4 aspects in a person’s life and death… First there is the individual, then there is the public figure and then there is the impact a person’s life on the society and our future and finally there is this ‘story of the person’ which encompasses all the first three items. Many of us might only have the first aspect groomed up even while we die. 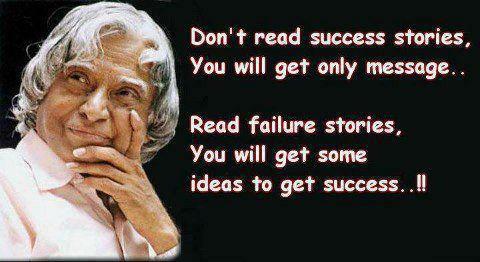 But Dr. Abdul Kalam was a person for whom all the four aspects matter. When we look at impacts of a person’s life (especially that of Dr. Abdul Kalam) it is also important that one does not look at it from just the boundaries of a nation and it should be looked as the impact to humanity in general. 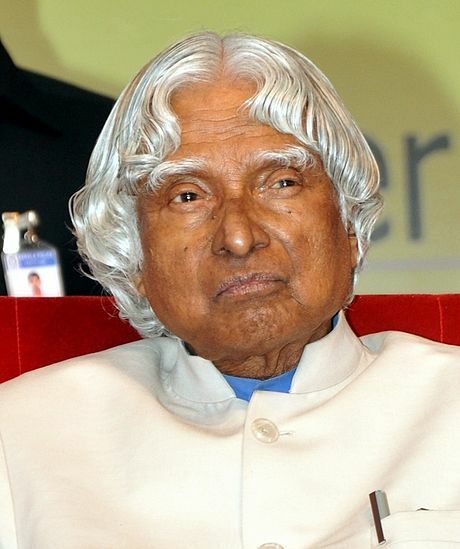 Because I believe people should be respected for the human being they are and if that is not there then no achievement is worth it… And in Kalam’s case I would say he was a great human being and the simplicity that he carried with him to the top stands testimony to that. He has touched the life of many who gained inspiration from him to study and move forward with education in mind. 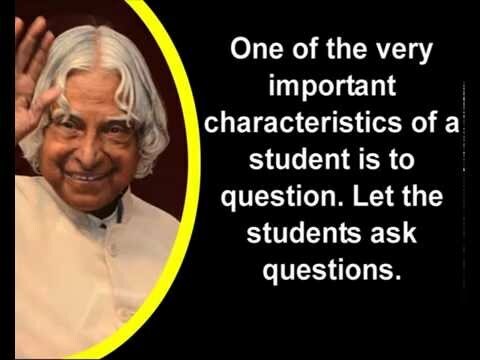 So it is important that one thinks about about how Dr. Abdul Kalam’s life impacted humanity. It is not through Missiles and so ‘Missile Man’ does not denote the contribution to humanity and using that is a very degrading reference in that context. The final item of the four aspects ‘the story of the person’ is very important personally to me as a story teller. And when I look at Dr. Abdul Kalam the story I see is about a boy who takes education seriously and becomes accomplished in his career and also becomes the president of the country. It is a very nice positive story that can be told reinforce the importance of education. Also the fact that one can be respected without running for riches, that there is an alternate route to a “rags to riches” journey and that is a ‘rags to respects’ journey. The story is of a boy and not that of a president who was once a boy. A story that does not need to be fabricated to enlighten the present and the future. We don’t get many such stories to tell in present days. I get really confused when people call a humble person like Dr. Abdul Kalam the ‘Missile Man’ because ‘Missile’ for me means destruction and not construction, not progress. What comes to my mind when I hear that term is the story that lead to the initiation of the Nobel Prize. When Alfred Nobel’s obituary was mistakenly published (instead of his brother Ludwig’s) and it condemned Alfred for inventing Dynamite. Apparently Nobel also owned Bofors, which he had converted from an iron and steel producer to a major manufacturer of cannon and other armaments. We live in a world where the biggest peace prize is given in the name of the guy who invented Dynamite and also owned Bofors and so we should know better than this. 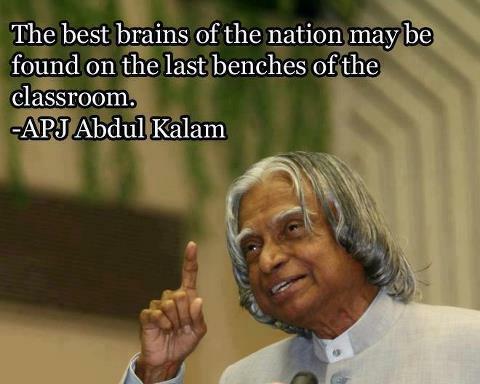 One should stop projecting Dr. Abdul Kalam as the Missile Man and respect him for being a humble individual he was. As someone who considered education a priority for bring up the youth. While paying my respects to Dr. Abdul Kalam it also baffles many like me that as a man of science he also kept close contact with people like the saibaba of puttaparthy and Mata Amirthanandamayi both along with many Godmen and God women stand as emblems of big money, extravagance and irrationality dressed in the pretext of selfless service. We respect you sir for carrying your simplicity to the very top and stepping down into the masses and giving youth the message that education can change their world. For telling the Youth that a journey to respects is more honorable than a journey to riches. So I will forget that the word Missile that people associate with your name and I will also forget that you supported the likes of the saibaba and I will just remember the good human being you have been… Because Simplicity and Education should be your legacy not the word ‘Missile’…..